When Shawn Robinson started his Master of Public Policy degree back in 2015, he knew it would take him places…he just never imagined that would include Kyoto, Japan. As one of ten graduate students selected from around the world, Shawn will be travelling to Japan on March 4th to participate in the Kyoto University Spring School for Future Global Leaders. The two-week, intensive program is designed to build global leadership towards solving complex social problems, using an approach that combines both sciences and humanities. Here, students will come together to explore possible approaches to addressing problems faced by global leaders. “Climate change is a prime example of a complex problem that is challenging participating nations to set individual targets for emission reductions, that collectively aim to limit the global average temperature rise.” says Shawn. 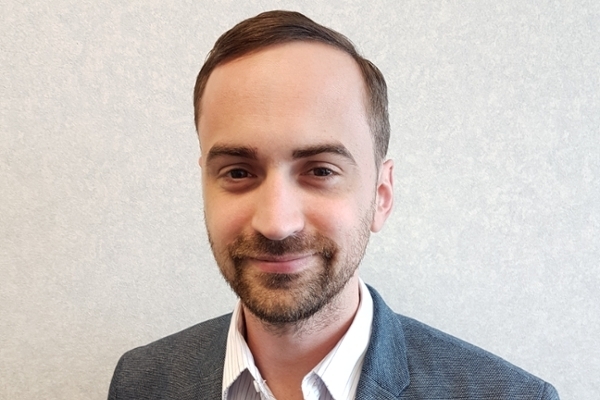 With a bachelors and master’s degree in Biology from the University of Regina, Shawn became interested in researching the policy angle of science, and, to that end enrolled in the JSGSPP’s Master of Public Policy program. While in the program, Shawn was also able to gain experience serving as a Robertson Fellow in the Centre for the Study of Science and Innovation Policy. Shawn’s work focuses on the intersection point between science and policy. He is looking at how individuals in policy that are non-experts in science are able to interact with science-based policy. More specifically, he concentrates on how people form attitudes towards certain areas of science and science policy, based on their knowledge in the area and social engagement with other people. He also researches what kind of influences go into forming these attitudes and what changes them. Shawn was introduced to the program in Kyoto by JSGSPP Executive Director, Kathleen McNutt, who supervises his research. After noticing the similarities between Shawn’s research and the program’s content, she presented him with the opportunity to apply. The application for the Spring School requested that applicants submit an essay comparing a leader in Japan to a leader in their home country. Shawn selected Canadian leader Catherine McKenna, Canada’s Minister of Environment and Climate Change and the first female Member of Parliament for Ottawa Centre. For comparison, Shawn chose Naomi Koshi, the current mayor of Otsu who is the youngest woman to be elected as mayor in Japan upon winning the election in 2012. In his essay, Shawn showcased how each overcame boundaries as politicians and leaders. Ultimately, his comparison essay was impressive enough, earning his place in the Kyoto University Spring School for Future Global Leaders. Shawn recognizes that a majority of issues in the world are global problems that cannot be solved by any one country in isolation. Issues like climate change require the collective effort of all countries and their citizens. Shawn has noticed the more common occurrence of issues requiring cooperation to solve, and believes that this School is the gateway to encouraging future leaders to work cohesively with others to solve issues on a global scale. Having never traveled to Japan, Shawn is excited about the trip and to have the opportunity to discuss global problems on an international level. His research work will prepare him to discuss the nexus between science and policy, and interact with students that bring different perspectives. With an open mind, Shawn looks forward to working with others and sharing the knowledge he has gained throughout his research and in his position as a Senior Climate Change Policy Analyst with Saskatchewan’s Ministry of Environment. Shawn is appreciative of the support he received from JSGSPP by making this opportunity available and ensuring that he had the best chance possible of being accepted. He looks forward to representing the Johnson Shoyama Graduate School of Public Policy and the University of Regina.